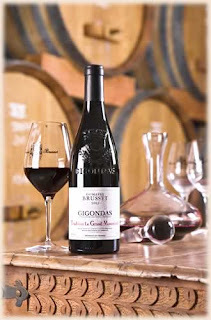 Those who are "in the know" (Robert Parker for one, and Mike - my product consultant at the local BCLB Speciality Store for two) say that Domaine Brusset ( http://www.domainebrusset.fr/ ) is the premier winery of the Gigondas. My wife (Mrs AStudentOfWine) and I were to have a somewhat celebratory dinner & those who know my wife know she loves, nay, adores the classic Chateauneuf du Pape blend of Grenache, Syrah & Mouvedre. Those who know me, know that I rarely can afford said classic blend (starting at $60 CAN in BC, but really costing $90+++ for a decent wine. And so I stopped by my local BCLB spec store & told my woes to Mike, who recommended the Domaine Brusset "Tradition Le Grand Montmirail". We drank it with a beouf bourguignon with crimini mushrooms & roast elephant garlic & loved every drop! All in all a $60 wine for $30. Easy decision next time I need a g-s-m blend, right? However! It is said that these wines can age easily for another 10 years and given the acid/tannin/structure, I would agree. I would also say I can't wait to try this wine as a 7 year or 12 year cuvee. 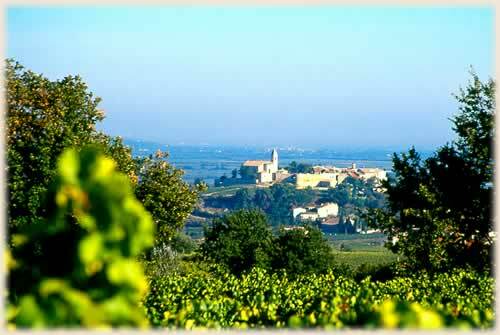 Love Chateauneuf-du-Pape? You will adore this.